Timeless, Candid, Natural. Love is all you need. I combine my love for natural light and authentic moments to capture the essence of your relationship. My style of work is candid, natural and non-obtrusive. I offer direction when needed, but for the most part will allow your natural chemistry to take the lead. Let your bodies naturally mold in to one another as they would if you were cuddling on the couch watching your favorite movie. I’ll capture the day as it unfolds, telling the story of your wedding day. I focus on the most candid, natural moments of the day and everything in-between. I want to make you feel like your absolute best self in front of the camera, and create images that represent that feeling. The love that surrounds you is equally as important as the love between you and your fiancé. My heart desires to work with couples who: are artistic, nature lovers that enjoy a good adventure, aren't afraid to stray from traditions, love intimate, unique venues filled with character, appreciate the little things in life such as impromptu road trips, long barefoot walks on the beach, and hikes through the woods. 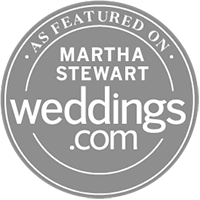 Intimate & Elopement Pricing available upon request. Send me a message for more information!